Contact us online or call 301-358-6411 today to schedule gutter installation in Washington, DC or a surrounding Maryland area! The average lifespan of gutters is 25 – 30 years, so if your gutters are more than 15 or 20 years old and you’ve never had a professional inspection, it’s a good idea to get one. As your gutters age, they become more vulnerable to damage and aren’t as effective at protecting your home from water damage and other problems. What Are the Benefits of New Gutters? Sometimes gutters may be damaged but not in need of a full replacement. 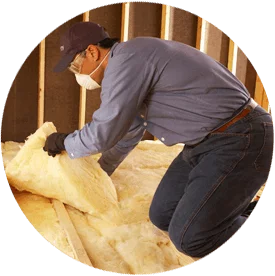 If this is the case for you, trust Accurate Insulation to provide service! We can repair K-style and half-round gutters in DC and the surrounding Maryland areas. It is important to repair damaged gutters because these gutters don’t serve their purpose: protecting your home from water damage. An ounce of prevention is worth a pound of cure when it comes to home maintenance tasks, so make sure you don’t put it off! Our professionals take careful consideration of materials, shapes, sizes, colors and placement to optimize function and pleasing aesthetics. 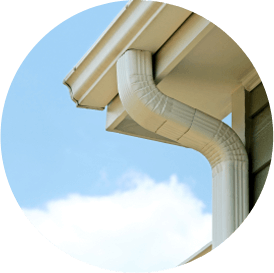 Seamless gutters installed by Accurate Insulation are the perfect accent to any home and help provide peace of mind year after year for homeowners in Upper Marlboro and Hagerstown (our two office locations) and the Greater Washington-Baltimore area. We also can install several types of gutter covers, including Leaf Relief™ by Alcoa and Spectra Shield by Spectra Metals. 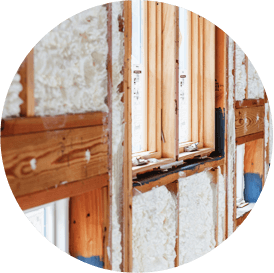 And in addition to replacement, we work with builders and contractors on new construction projects. Never ask “Where can I find gutter contractors near me?” again! 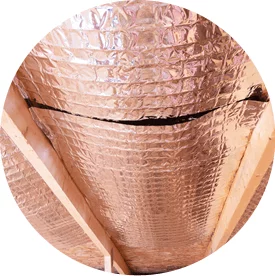 If you need new gutters installed in the Washington, DC and surrounding Maryland areas, Accurate Insulation is the only name you need to know. Contact us online or call 301-358-6411 today to learn more about our services or if you’re ready to install new gutters!